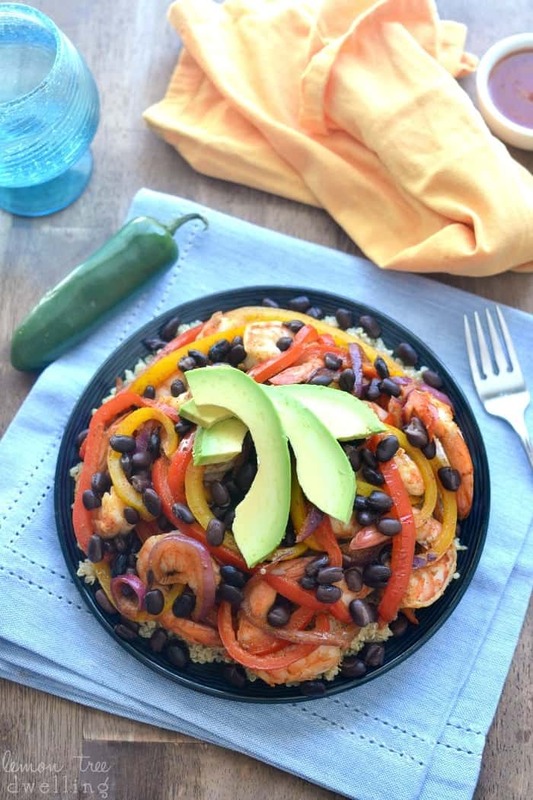 Shrimp Fajita Quinoa Bowls are a healthy, easy, delicious new way to enjoy fajitas! You guys. Nora starts school this year. God help me! Honestly, I have no idea what to expect. And my feelings could not be further across the board! Excitement, nervousness, relief, hope, and even a touch of sadness….I have felt them all. And if you ask me where I ended up, I couldn’t even tell you. It changes by the minute! Because, as you may have gotten by now, Nora is our little firecracker. She is passionate and challenging and has definitely made the last few years quite interesting. But she’s also smart and loving and funny and a whole lot of fun…..when she wants to be. Which is exactly why I’m kind of a wreck about her starting school! You never know what you’re going to get! I have visions of time outs and tantrums and phone calls home. And I have hopes that school will be exactly what she needs to turn it all around. I guess only time will tell….and in the mean time, all we can do is cross our fingers and hope for the best. That….and drown our worries in comfort food. 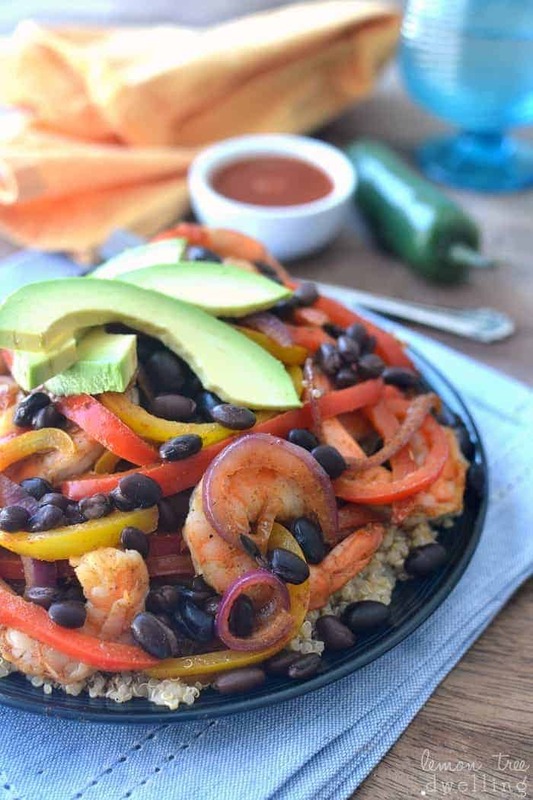 These Shrimp Fajita Quinoa Bowls are the BEST kind of comfort food – healthy, satisfying, and so delicious. Truth be told, I could eat them every day…..and once Nora starts school, I just might! Try them. You’ll see what I mean. Saute peppers and onions in a medium skillet until tender-crisp. Stir in shrimp and seasonings. 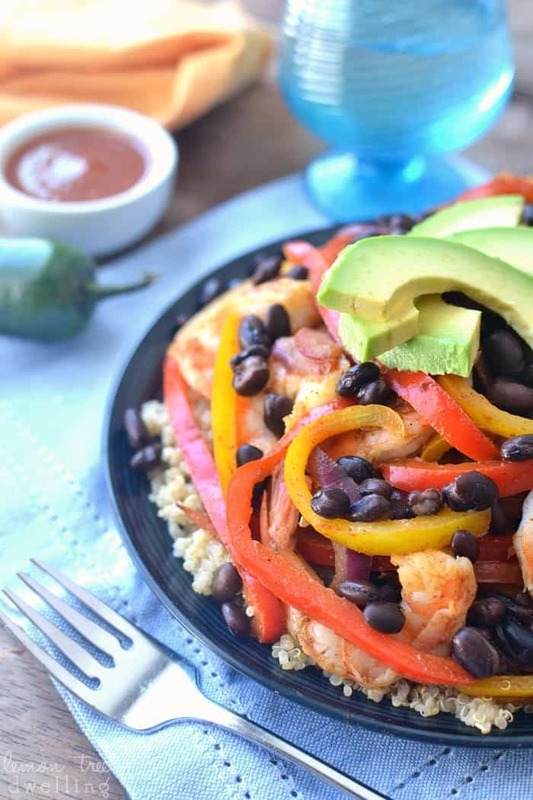 Divide quinoa evenly among plates or bowls; top with fajita mix and black beans. Sydney is my Nora!!!!!! Oh. My. Goodness! Tons of fun, funny and FIESTY! I worried and wondered what the school years would bring and guess what? Everyone told me she was kind, sensitive, well behaved and (gasp) RESERVED! Wait, what???? She’s loved school and saves it all for after school – for ME. Tantrums….check! Exhaustion….check! Sassiness….check! But, she’s also beyond happy to see me at the end of the day and so lovable! I completely get where you’re coming from through. 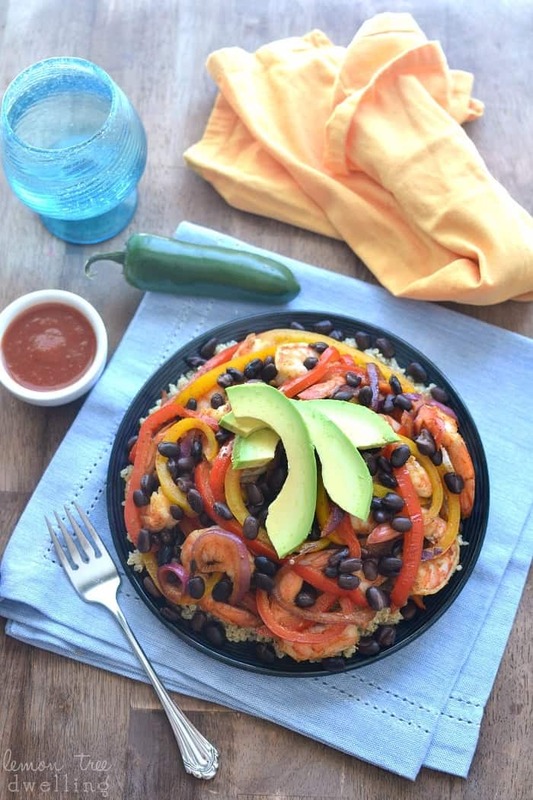 These bowls look like the perfect protein filled way to help keep us fueled and ready for the after school craziness. Yummy! 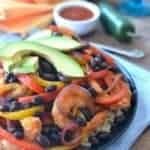 I love the combo of shrimp/avocado. Yum! I felt this way when my youngest started preschool! I had so much anxiety! Now I can’t wait for this year! She is so ready for it to start back! This is my kind of meal Cathy! Hope school will go great! Hoping this school year is great and that the transition is easy! 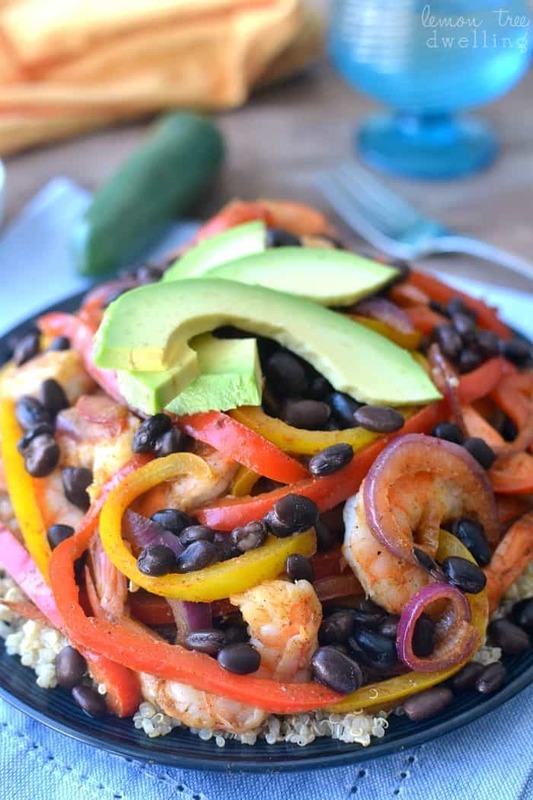 🙂 This shrimp fajita quinoa bowl sounds like it would be right up my alley! I wish I could reach through the computer screen. This looks like my kind of dinner. I could eat it daily. Yum!